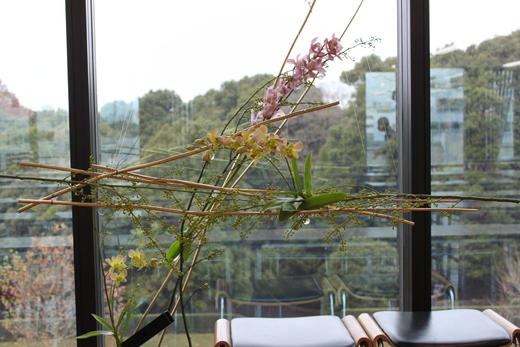 This is a composition of a hanging flower arrangement at the window. 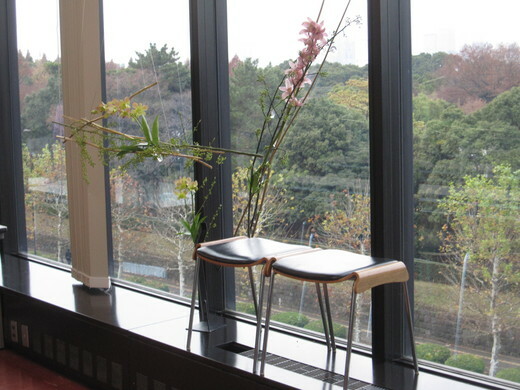 The view of Akasaka Palace and chairs are also a part of this work. Das ist eine haengende Zusammenstellung von Blumen am Fenster. Die Sicht von Akasaka Placace and Stuehle sind auch Teil dieser Arbeit.